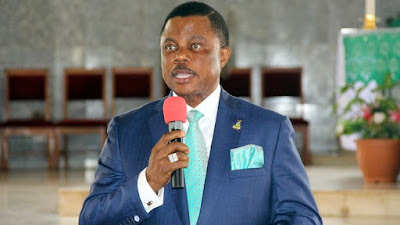 The Anambra State Governor, Willie Obiano, on Friday said there was no truth in the rumours that he will leave the All Progressives Grand Alliance for the All Progressives Congress. He said he would never leave the party on which platform he contested and won governorship seat two times. Obiano spoke to State House correspondents after a meeting he had with President Muhammadu Buhari at the Presidential Villa, Abuja. “No. Never. That is totally unfounded. I will never leave APGA. I’m the leader and the BoT chairman of APGA and again by God’s grace the governor and governor-elect,” he declared. The governor described APGA as a very strong party in the South East, saying Nigerians will see more proofs in coming elections. When asked about his relationship with his predecessor, Peter Obi, he said he had no problem with anybody. He, however, said he had extended olive branch to his co-contestants, saying that all of them have congratulated him. He said individuals’ ambitions could not be greater that the interest of the state.